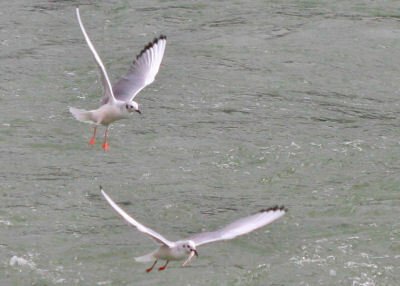 As you can see from the pictures above, adult, non-breeding “winter” plumaged Bonaparte’s Gulls lose their black hood but retain a black ear-patch. 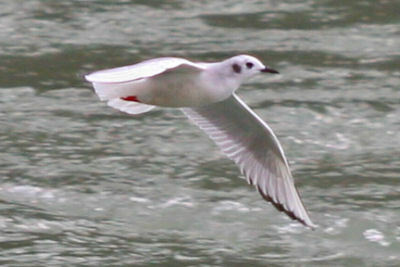 The white wedge on the leading edge of the wing and black tips on the primary feathers stay consistent from breeding to non-breeding plumage. 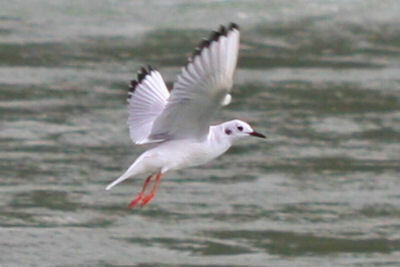 Juveniles have pink legs and feet instead of the adults’ red-orange, a brown bar on the wing and a black tail-band. 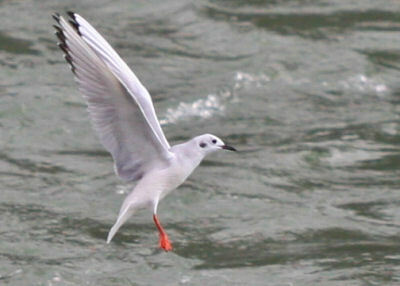 All plumages and ages have a thin black bill. 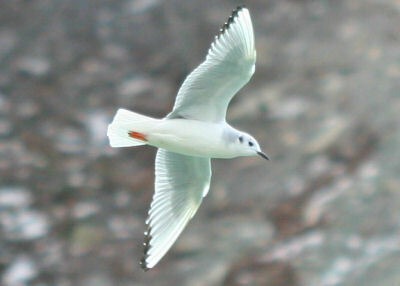 In other words, Bonaparte’s Gulls are a lot like Black-headed Gulls, but with smaller black bills and light underwings. 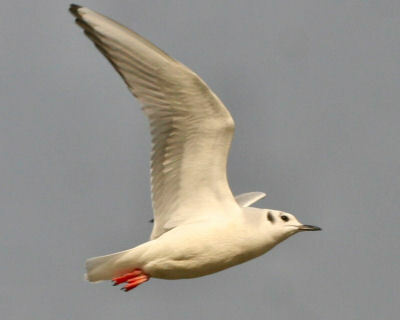 And, by the way, Bonaparte’s Gulls aren’t named for that Bonaparte, but for his nephew, Charles Lucien Bonaparte, discoverer of both the Moustached Warbler and Wilson’s Storm-Petrel. I love it. 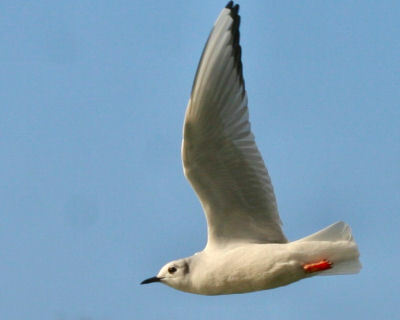 Bonaparte’s are one of my favorite gulls (that I regularly observe anyway). Good choice on hiking down into the gorge – I love it down there. Darn, yesterday was a real nice day and I probably would have came up to Buffalo to see you if I knew you were into the area! Would have been fun meeting you~! Next time! @Nick: I’d never hiked into the gorge and am I ever glad I did. It really helped me grasp just how powerful the river is. @Mon@rch: I didn’t even think of it…I guess I imagined you as living much further south than you actually do. 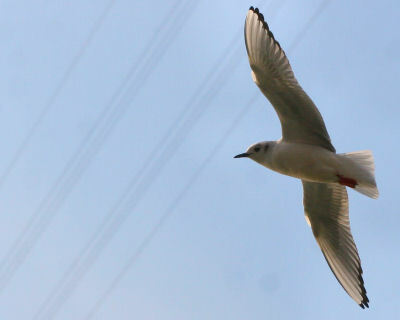 And the post you did about all the bonies at Dunkirk Harbor was pretty cool…loved the video. Thanks and it is a little drive north but would have been well worth the trip! Maybe another time! Nice pics! I really like the 3rd one. Great photos, Corey! 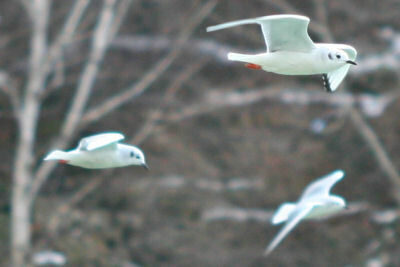 Those Bonaparte’s sure are pretty birds, and you did a great job capturing them in action. Thanks.